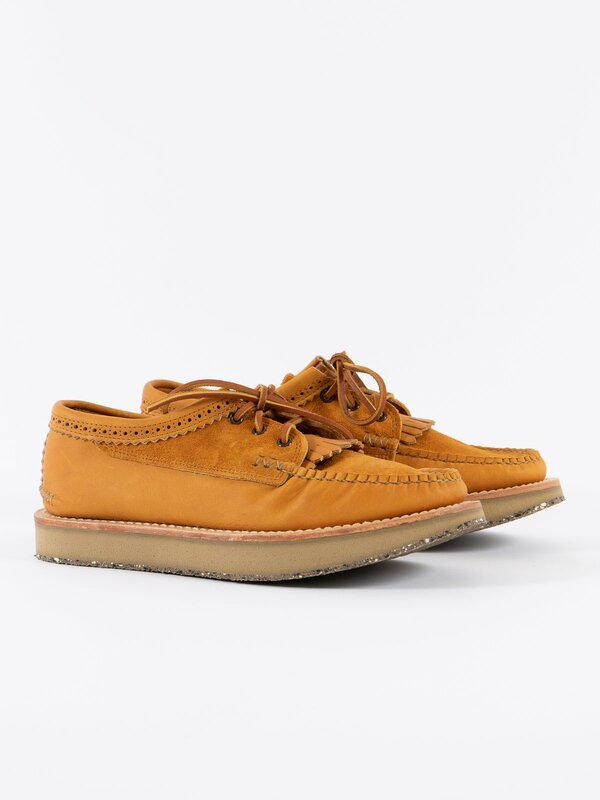 FO Orange/BB Tan Blucher Kilir Rocker Exclusive. 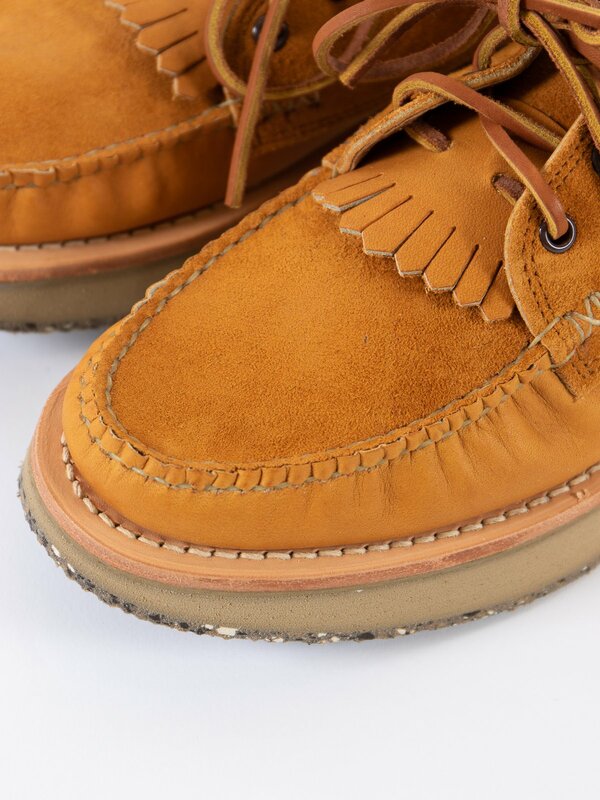 Exclusively made to order for The Bureau Belfast. 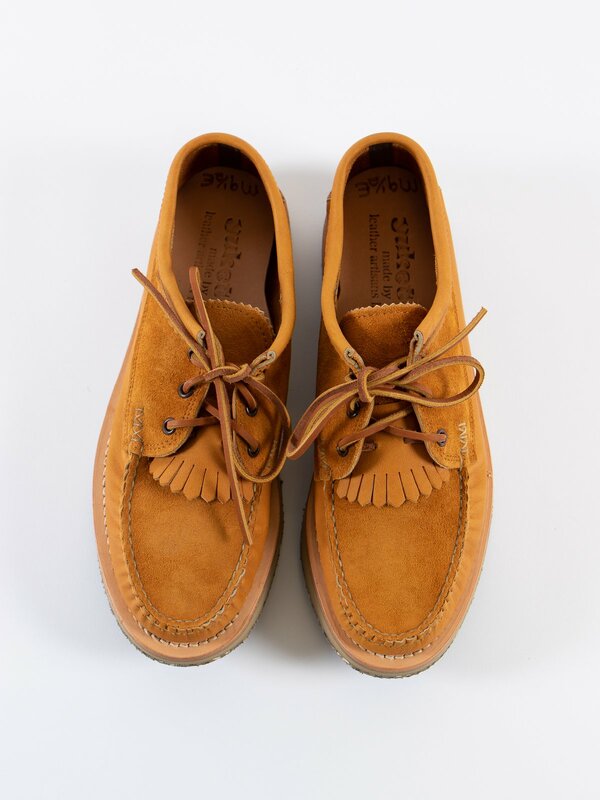 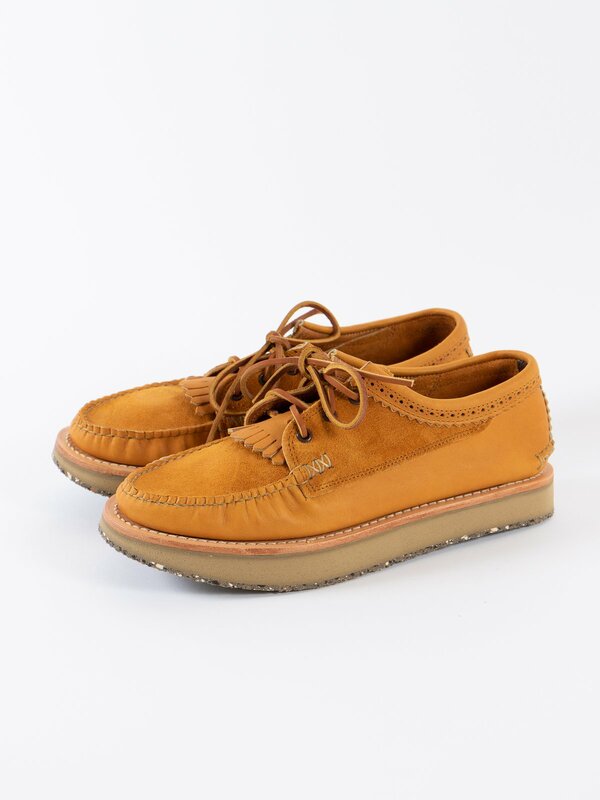 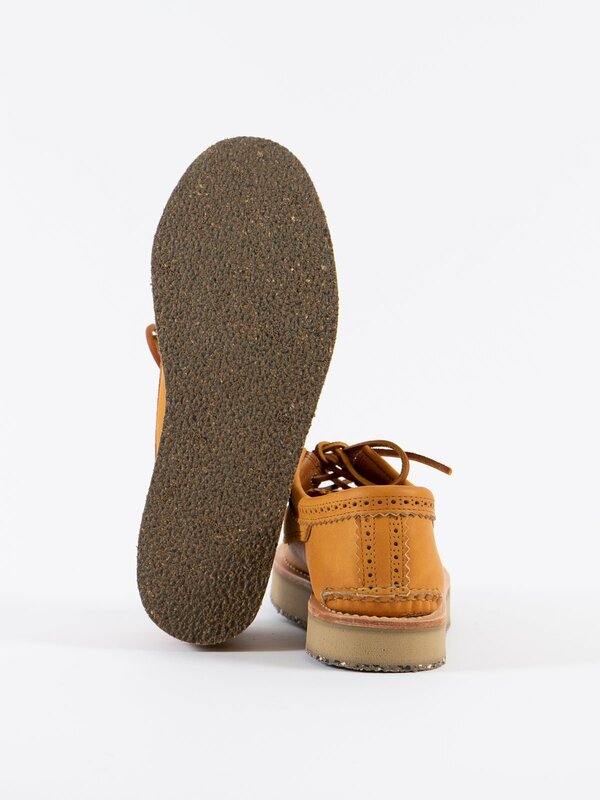 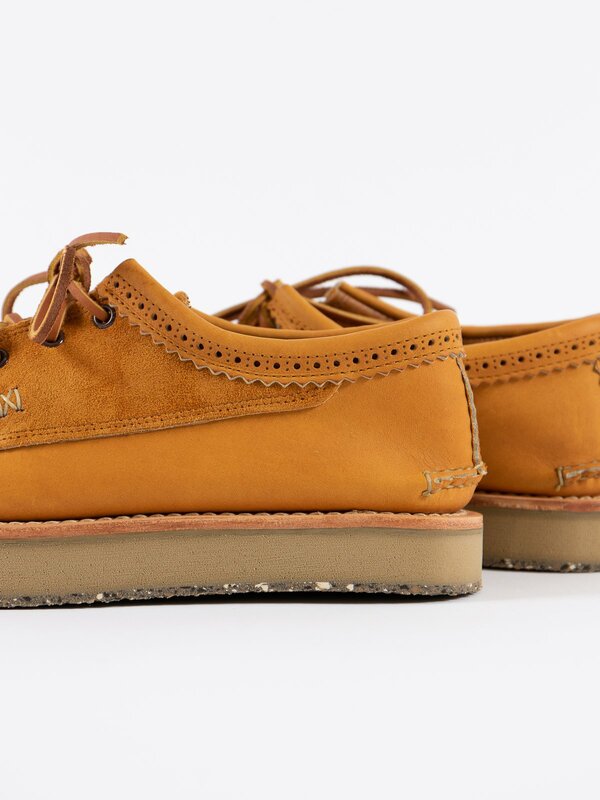 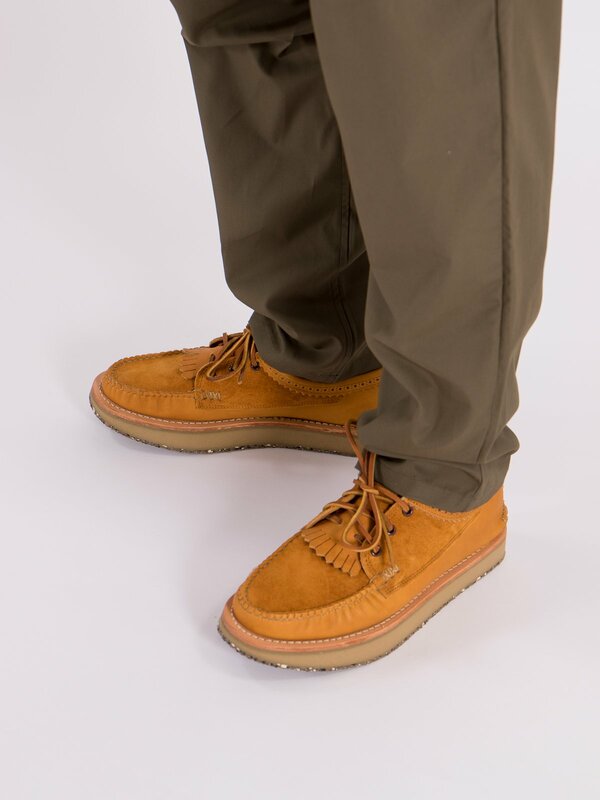 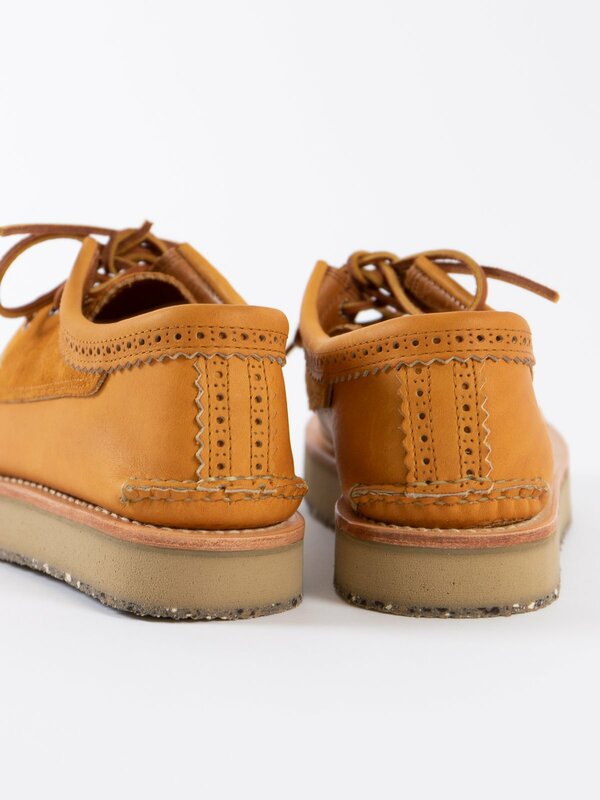 2–Tone upper with Horween flesh out orange full grain leather and BB Tan full grain leather, genuine moccasin construction, removable kiltie, 3 brown metal eyelets, unlined, full leather insoles and a Rocker outsole.